Meet Rhuigi Villasenor, the 27-year-old Manila native who was one of those named on this year’s Forbes’ 30 Under 30. Villasenor immigrated to the U.S. from the Philippines at age 11, settling with his family in relative’s living room in LA. His English was very limited. After high school, he pursued a career fashion, learning design during internships under Shaun Samson and Taz Arnold. Gaining design experience and learning the ropes of the industry, Villasenor started his now flourishing streetwear brand, Rhude in 2012. The company started slow, but that didn’t stop Villasenor from making his dreams a reality. 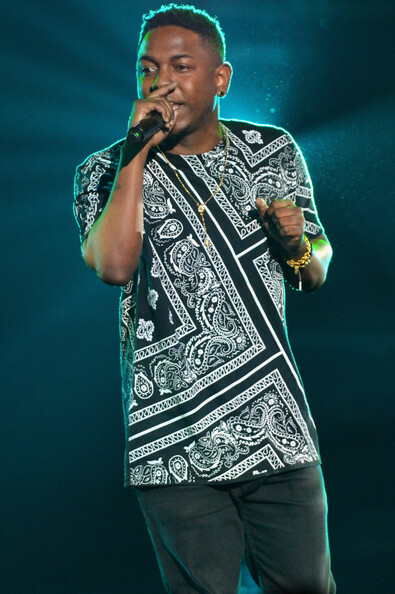 Rhude’s very first product, a bandana print t-shirt, inspired by his West Coast upbringing barely sold until Kendrick Lamar wore it on stage at the BET Awards in 2013. This exposure was a big break for Rhude. Today, Villasenor has produced several Rhude collections and is now expanding into homeware, eyewear, womenswear, and even art. Rhude has garnered a considerable following amongst celebrities since its debut in 2013. The likes of Ellen Degeneres, Kylie Jenner, Frank Ocean, Lebron James, Justin Bieber, and A$AP Rocky, to name a few, have all been spotted in Rhude apparel. In January, merch designed by Villasenor was used to accompany Future’s “The WIZRD” mixtape. To make it all come full circle, Kendrick once again wore Rhude on stage, this time accepting his Pulitzer Prize in the Rhude “traxedo” pants. Now, high-end retailers like Nordstrom, Barney’s, and SSENSE are selling Villasenor’s clothes. A hybrid of gritty Middle American visuals and West Coast street style describes the identifiable aesthetic that Villasenor has developed for his brand. He laces narratives, often from his own experiences into his work. Rhude’s signature cigarette imagery is a reference back to both Villasenor’s childhood in the Philippines and an ex-girlfriend who was a habitual smoker. Sun is down, freezing… for sale soon. Villasenor’s Rhude F/W19 collection, “Horse Power,” inspired by a road trip across the US, touches on the increasing dependence on technology in today’s society. According to Complex, the collection, recently presented at Paris Fashion Week, is characterized by the imagery of “American heritage” and “motorsports”, as well as a “Midwestern color palette”. As an immigrant from the Philippines arriving with very little, Villasenor never failed to make do with what he had to support himself, whether it was selling his designer Goodwill finds in school or using his first Rhude sales to get his bedroom, finally. Villasenor’s story serves not just as a source of inspiration for Filipino-Americans in the fashion industry, but for all people. It highlights the universal immigrant experience of building a new life from nothing. Rhuigi Villasenor has come a long way from sleeping in living rooms, and it seems like he’s only going up from here.